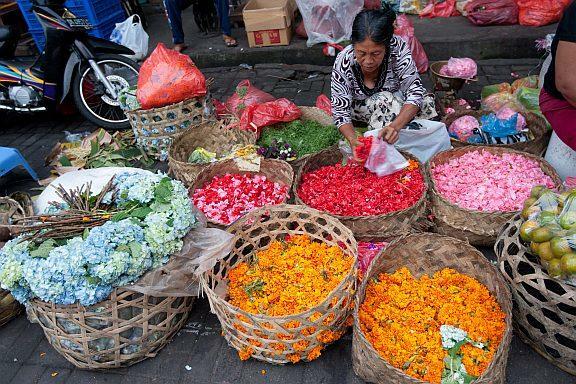 Although Bali is a small island, it is absolutely packed with things to do and see. With enchanting temples, captivating dance performances, glorious beaches and incredible rice terraces you will find no end to the list of sights. This small list should get you started on what is sure to be an unforgettable trip. Tanah Lot is a temple of great Hindu importance. It is said to be the work of a 15th Century Hindu priest named Nirartha who saw the rock, which is just offshore, as a place of religious importance. It has since been an important place to worship the Balinese sea gods. The walk to the temple is bursting with souvenir shops and restaurants for tourists. Holidays to Bali include the opportunity to interact with dolphins. Lovina’s most popular attraction is dolphin watching. Here you will find plenty of boat trips out to sea where more often than not they are spotted. 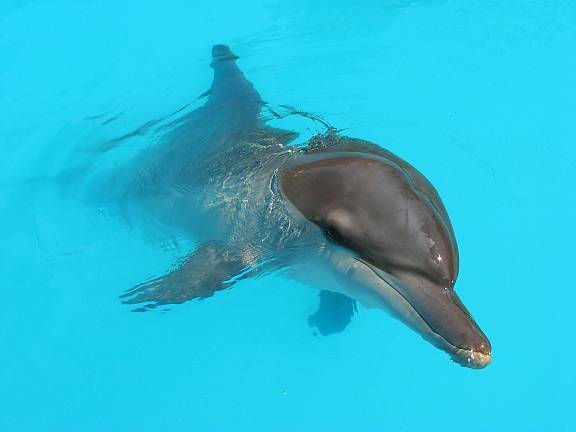 At Serangan near Sanu you have the opportunity to swim with dolphins in a floating sea pen. This gives you the chance to get close to the mammals in a well cared for environment. 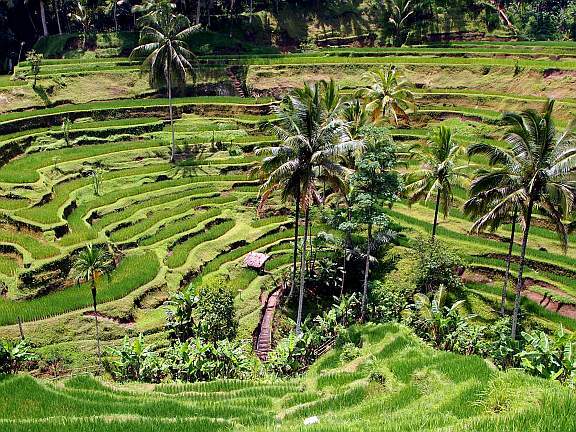 Bali holidays should include a visit to the Tegallalang rice terraces. The beautifully terraced paddies were created over 2,000 years ago by natives that carved them into steep hillsides with stone hand tools. Here you can see the Balinese farmer work and enjoy the view of the valley. Another temple, but this is an important one. Although there are thousands of temples to be discovered during Bali holidays, Pura Besakih is the most impressive. 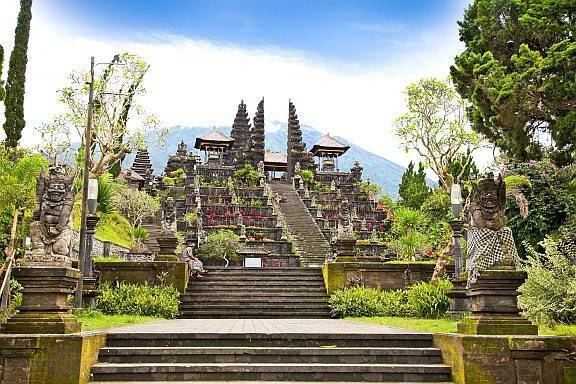 Situated on Mount Agung, the temple is a sacred pilgrimage site that features shrines to 30 various Hindu gods. Along the way to Batubulan, stone figures dot the roadside. Here, you can visit an artisan workshop to witness the creation of the internationally famous sandstone demons and deities that decorate the village’s houses and temples. 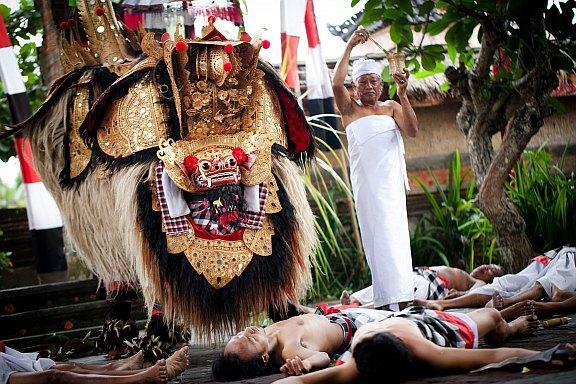 Ubud is widely regarded as the cultural centre of Bali. It is the home of arts and crafts and is bursting with artist workshops and galleries. Ubud’s Museum Purl Lukisan exhibits an extensive permanent collection of Balinese artworks created since the beginning of the 1900s. There is no shortage of handmade wooden carvings of animals on sale either. The Bali Orchid Garden, located near Sanur, makes a perfect relaxing retreat during holidays to Bali. Here, thousands of varieties of orchids bloom throughout the year. The landscaped topical gardens provide a relaxing and peaceful environment for thousands of visitors every month. The “Top 7 things to see in Bali” was written by Tom Browne, a travel writer who went to Bali back in 2012. 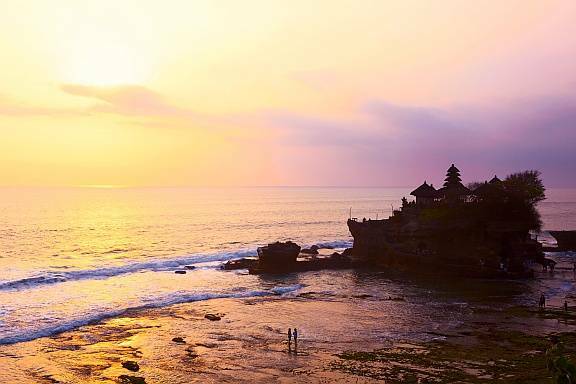 Bali holidays are perfect for travellers looking to combine temple-hopping and traditional cultural pursuits with world-class beaches, luxury hotels and unforgettable sunsets.